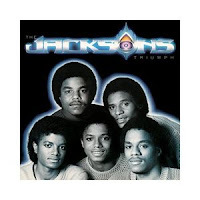 When they were known as the Jackson 5 signed with Motown, Michael Jackson and his brothers only received less that 3% of the Royalties so when they made the jump to CBS, papa Joes made sure the boys received a massive 20% which obviously changed quite a few things for the now renamed Jacksons and their family. Even with the success of albums like Destiny and Triumph, Michael still cranked out solo work that outsold the Jackson's work by a significant amount. When Thriller was released, instead of going on tour to promote the album, he rejoined his brothers for the Victory tour which meant if you wanted to see Michael doing Billie Jean, you had to go see the Jacksons. "Can You Feel It" was released from the Triumph album in 1981 and charted well in many countries reaching number one on Billboard's Hot Dance Club Play chart until Cool and the Gang pushed them off with their monster hit, "Celebration". The video was voted one of the Top 100 videos of all time in 2001 for MTV's 20th Anniversary.